Keep your eyes and ears open for an emerging new British superstar. This one’s not a reject from The X Factor or a monosyllabic egotist from Big Brother. grough’s prediction for the Next Big Thing is a self-effacing retired social worker who has made his mission in later life the cleaning up of Britain’s mountains. The one-man litter blitzer known to the media as Rob the Rubbish and to his friends as Robin Kevan is now going international with a mission to clean up Everest base camp in October. Rob’s in the best tradition of eccentric British heroes, who simply get off their backsides and tackle a problem rather than forming committees and holding strategy meetings. One day, while out walking near his home in Llanwrtyd Wells, he was struck by how the litter he encountered spoiled his enjoyment of the countryside. Instead of ringing his council or dashing off a letter to his local newspaper, he started getting up at dawn and clearing the rubbish himself. He is, he says, like a magic fairy who spirits away the town’s litter before its inhabitants have come out of their homes. He asks for no recognition; his reward is looking out on a rubbish-free countryside. 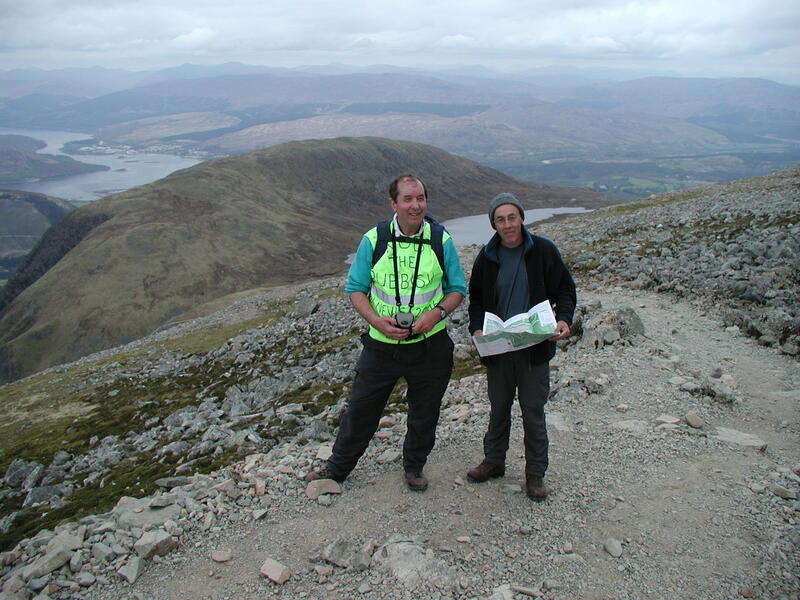 The 61-year-old, who was brought up in Sedbergh, Cumbria, in the shadow of the Howgills, drove 450 miles from his Welsh home to Fort William to clear the ‘tourist path’ up Ben Nevis (See picture, below). He climbed to a height of 750m and brought down six bags of rubbish. Since then, he says, he has fallen in love with the mountain. Whereas grough gets angry when tripping over mountain litter, Rob is more sanguine; litter will unfortunately get dropped and it needs picking up regularly. His campaign has already brought him media fame. He has featured on BBC Radio 2, in The Independent, the Daily Telegraph, BBC TV’s Countryfile and the Richard and Judy Show. He’s cleaned up Snowdon, Pen-y-Fan, Scafell Pike, Ingleborough, Helvellyn and The Cheviot. Cadair Idris in southern Snowdonia is his next project on 16 September and he says he welcomes help from anyone interested in joining him. He plans to make a return trip to Ben Nevis early in October before his Himalayan trip, starting on 21 October and scheduled to take three weeks. The base camp clean-up idea came about when Terry Crosby, managing director of Travel and Trek, spotted Rob on the Richard and Judy Show (shouldn’t he have been at work – Ed?) and was taken with his mission. He offered the one-man clean-up campaign the chance to tackle Everest’s notoriously litter-strewn base camp. Rob intends to spend two whole days collecting refuse from the site at 5,600 m (18,370 ft), which will then be brought down with the help of porters. A film crew will record his trek, having already shot footage of his exploits on the Ben and in his home town. Not content with cleaning up the Nepalese site, Rob has also established a link between his local primary school and one in Kathmandu, the Nepalese capital. He will act as postman, taking presents between the school and has raised £400 for the charity Global Action Nepal. If there is a heaven, it’s fairly certain there’s a seat up there with his name on it. You might think his clean-up efforts preclude much else in the way of a life for the busy refuse collector from Llanwrtyd Wells. Wrong! 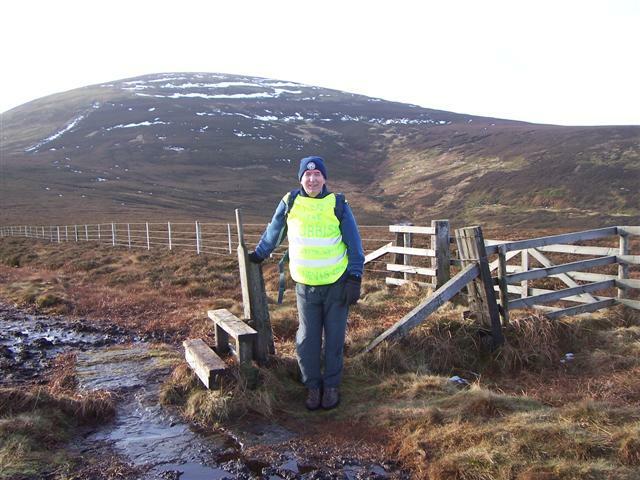 Mr Kevan also sings in the Builth Wells Male Voice Choir; he’s taken part in ten marathons, including the London Marathon twice; he’s a qualified chef and football referee. He used to play cricket in Somerset and he supports Manchester City. Every man is entitled to one flaw. He has two daughters, a son and a grandson as well as a partner, Tina, who obviously doesn’t see much of him at their Powys home. Perhaps his most impressive feat so far is persuading Daily Telegraph journalist Nigel Bunyan to get up at 5.30am to witness his litter-pick in Llanwrtyd Wells. 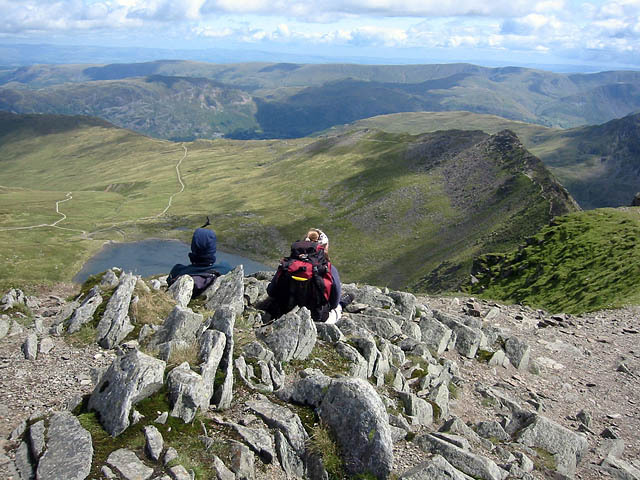 Rob gives the thumbs-up to Helvellyn – a litterless peak. He hit the peak in July last year. He says: “It was an exceedingly hot day. Striding Edge was scarier that I had remembered. “Maybe I'm getting too old for the likes of Striding Edge! I'd gone early so didn't see too many people and I didn't see much litter either. In fact Helvellyn, given its popularity, was the cleanest mountain I've been on. He has the following advice for young people following another litter trawl after a rave in the Eppynt Hills: “I am a fairly tolerant person and I want everyone to enjoy their lives. I am not in a position to discuss the rights or wrongs of whether raves should take place. Anyone wanting to help Robin with his forthcoming ventures can contact him at his website and we can all do our bit by not turning a blind eye when we next pass that Mars bar wrapper on our next journey into the hills.